Concrete sinks have been making a great entrance in the home improvement industry. Currently, you will see them in modern kitchens and bathrooms across the region. You can get concrete sinks in any design that you are looking for. This product comes with a long list of benefits and of course a few challenges. It’s important to know what you are buying before you spend your money on it. Here are some of the advantages of concrete sinks. Concrete plumbing fixtures are designed in so many shapes. You can design any tub or sink as long as the contractor created the appropriate scale and shape and it has sufficient support. Most contractors create the products offsite so that they use special tools and don’t make your home messy. However, you may find one or two limitations in the design. For instance, a slab that goes beyond the desired length, depth, and width limits can deteriorate in terms of durability. However, skilled craftsmen will always comply with the laid down guidelines. The other benefits of using concrete sinks in your renovation project is the strength that comes with it. The concrete material is very strong and will last you for over 50 to 60 years as long as you take good care of it. This makes it an ideal option for both the kitchen and bathroom. A highly skilled craftsman can design concrete sinks in a broad range of sizes. If you have been looking for a particular size of the sink that will assist you to achieve a vessel effect or waterfall, then concrete is the way to go. Browse through the website for some inspiration and ideas on the various sink designs. You will be shocked at what you can get from this material. Concrete sinks deliver a higher value when you compare them with natural stone sinks like marble and granite. These sinks are more costly than traditional sinks and porcelain but the real cost of a concrete sink is less than your expectation. You can combine this sink with the vanity top use the concrete sink to form a pedestal and they blend so smoothly and seamlessly. The stunning look of concrete brings an exclusive sense of style to your home. It is also fairly cheap to maintain concrete sinks. You must seal a vanity countertop or concrete sink directly after or before the installation. You can be sure that you will re-apply the sealer after approximately one decade. Like the other countertops and sinks, you have to wax concrete on a regular basis to add to the protective layer and maintain its shine. Concrete sinks also boast of having easy repairs. You can seal, patch, and even repair concrete with the very minimal fuss. Whether you are decorating your room or fixing a problem, it is somehow straightforward to change things up. The other benefits of a custom sink come in when you think about the element of personalization. You can tint your tub or concrete sink using a color or inlaid with a pattern that creates a personalized appearance. You can use aggregates such as glass bits, colored stones, and shell to add an extra level of style and this can blend with the decoration of your room so well. you may be shocked to discover that your concrete sinks are looking more of a sidewalk. 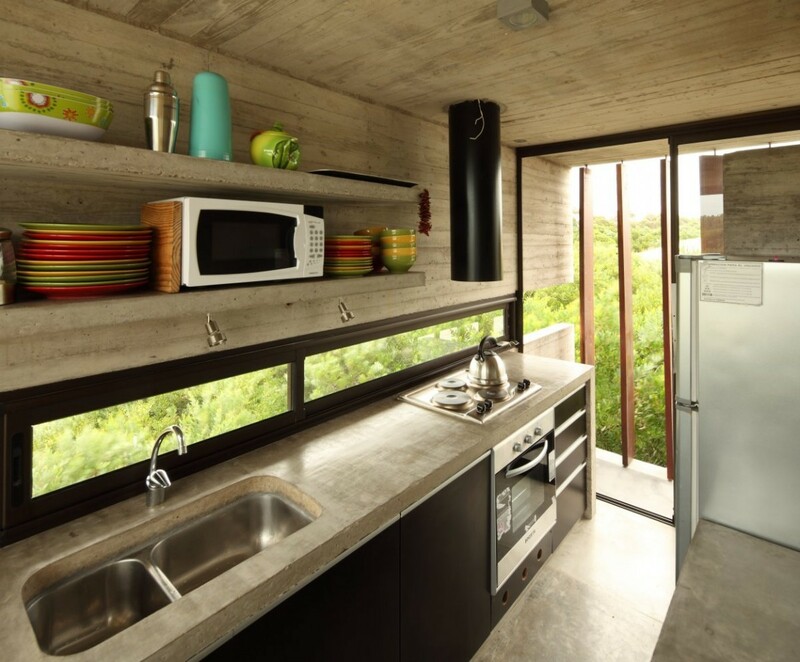 This style of concrete sinks mimics sleek natural rock. Using concrete sinks also comes with a few hiccups like any other product. The first challenge can be associated with cracking. However, you can deal with the cracks as they appear to avoid posing a greater challenge. Each concrete project has a unique color and you may not replicate what you saw in your friends’ house and hence you need to lower your expectations. The materials also have a natural porous state and you need to apply a sealer to prevent the stains and keep out moisture. Concrete sinks will take a minimum of two weeks to cure and hence it may hamper the operations in your room for some reasonable amount of time. Concrete sinks are really improving the home remodeling industry and you will find them in most modern kitchens and bathrooms in America. http://www.customconcreteorlando.com can help you get custom made concrete sinks for your home. This will transform your kitchen or bathroom into a fabulous design.